A recurring payment model allows merchants to charge subscribed users for a service or product on a periodic basis (weekly/monthly) according to the country regulation using mobile payments via carrier billing technology. 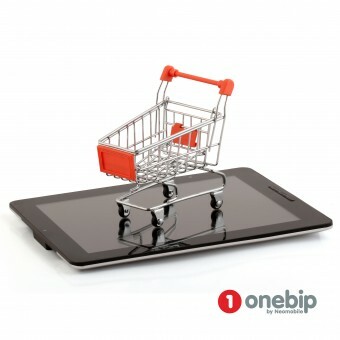 Onebip offers the one-click authorisation flow on mobile and the best converted acquisition flow on the web channel thanks to its user interfaces and screens which have been optimised according to user behaviour. Onebip supports merchants with Subscription management, Customer acquisition, Reporting and Control, Integration support, Customer care, Optimised billing technology, Marketing consulting, Localisation and Translation and Creativity and Design support. Onebip has a powerful engine designed to manage everything related to subscriptions. This is possible thanks to its “independence” from the code and from the billing solution such as PSMS, mobile direct billing and IP billing payments. Requirements: The best customer acquisition flow and user experience for PC Web and Mobile Web offered, One-click authorisation flow available on Mobile Web (Best converting acquisition flow), Full compliance with all mobile network subscription policies., Customer care service available through Onebip’s localised call centres., Smart billing system to manage the activation and renewal of subscription services using the best billing optimization methods and smart retry rules., Onebip’s reporting and control panel allows merchants to manage and monitor their subscription service data. 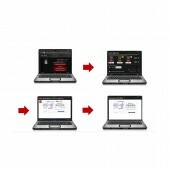 Real-time notifications of billing and state events and error codes available. Real-time statistics on Onebip’s panel. Onebip’s Back Office API allows for data to be filtered by date, country, mobile network and context., Subscriber blacklisting and unblacklisting feature available. Onebip by Neomobile Subscription Payment System by Onebip by Neomobile is a Nominee in Mobile Technologies, Applications and Software Design Category. · Click here to register today inorder to be able to view the profile and other works by Onebip By Neomobile when results are announced. Onebip by Neomobile Subscription Payment System by Onebip by Neomobile is Winner in Mobile Technologies, Applications and Software Design Category, 2013 - 2014. · Press Members: Login or Register to request an exclusive interview with Onebip By Neomobile. · Click here to register inorder to view the profile and other works by Onebip By Neomobile. 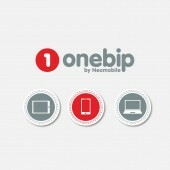 Did you like Onebip by Neomobile's Mobile Design? 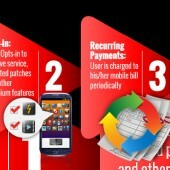 Did you like Onebip by Neomobile Subscription Payment System? Help us create a global awareness for good mobile design worldwide. Show your support for Onebip by Neomobile, the creator of great mobile design by gifting them a nomination ticket so that we could promote more of their great mobile designs.